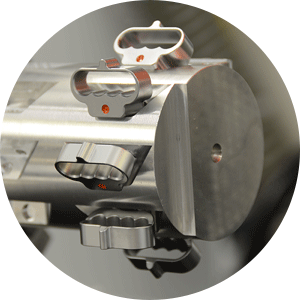 Unity Precision Manufacturing has served the medical market for many years and in many ways, becoming one of the top medical contract manufacturing companies in the nation. Building Success Together speaks well to the significant strides and relationships we have built within the medical device, implant, surgical instruments, medical instrumentation, orthopedic, and spine communities, upholding a commitment to absolute quality and traceability. Whether new customers with original plans or return customers with recurring orders, innovative medical products are our specialty. We provide full documentation/Device History Records, including Inspection Reports, Traceability Documents, and Certificates of Conformance. Get started with our medical contract manufacturing by calling us at 763-428-9888 or requesting a quote.